Yes! We are having a promotion for our bespoke Dessert Table this Christmas. As the festive season approaches, many of you will be preparing for your corporate or own house parties and our bespoke Dessert Tables will be a great feature for your party. We are not limiting the promotion to just Christmas so if you are planning for a birthday, wedding or bridal shower, you can take advantage of these offers too! 1. 50pc Complimentary Marshmallow Pops with every Dessert Table booked for the month of December 2010. * actual event date must be between 1 to 31 December 2010. * marshmallow pops can have a seperate color theme from the Dessert Table or be used as part of the Dessert Table menu/theme. 2. 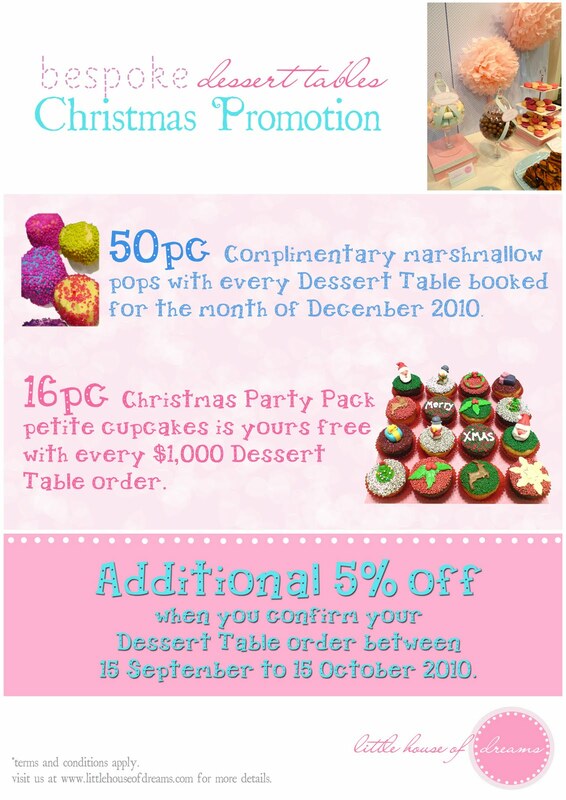 16pc Christmas Party Pack petite cupcakes is yours free with every $1,000 Dessert Table order. * min. $1,000 after discount / other promotions. * valid for dessert tables on/before 31 December 2010. * cupcakes must be redeemed between 1 November to 31 December 2010. * only self collection for the cupcakes, delivery will be at usual charge of $25. * cupcakes will be designed with Christmas theme only. 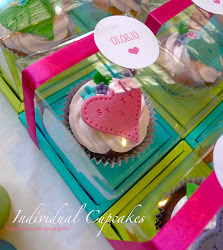 * cupcakes can be used as part of the Dessert Table menu. 3. EARLY BIRD SPECIAL: Additional 5% off when you confirm your Dessert Table order between 15 September to 15 October 2010. * deposit must be received between 15 September to 15 October to enjoy the 5% discount. * actual event date must be before 31 December 2010. You can click on the image, save it and send it to your friends!